Developed in 1907 for the New Century Revolver. Both the 45 and 44 calibers held phenomenal influence over the cowboys and the Wild West, and this round, coming out shortly after the turn of the century, was meant to commemorate the influence this round held over America. With its fantastic stopping power and damage capacity, the 44 Special is fantastic for self defense. 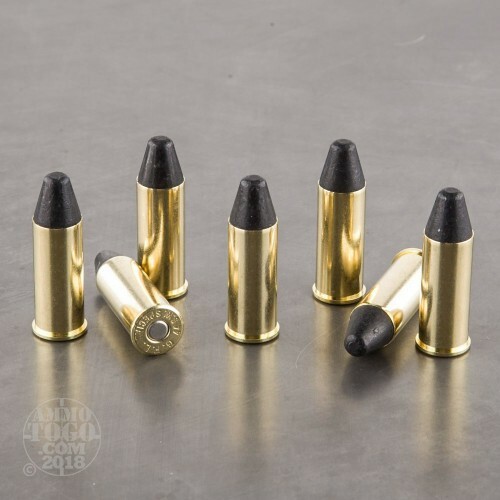 However, these rounds are meant to give you a great range round that is loaded to vintage pressures for your favorite wheel gun. 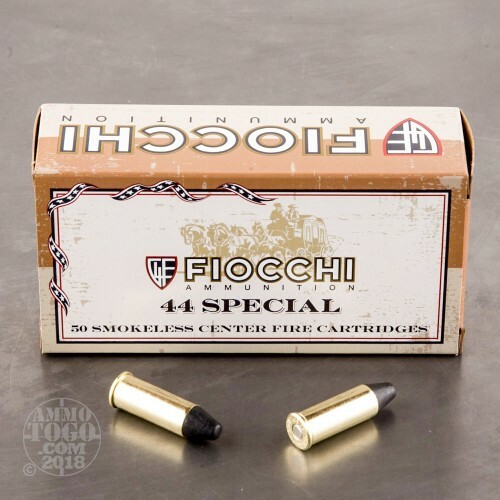 Stay all day at the range with these high quality Fiocchi rounds. 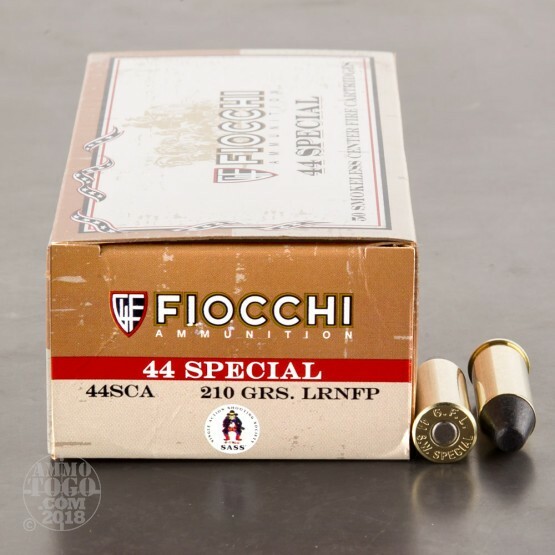 These rounds feature non-corrosive boxer primed brass casings that are re-loadable. 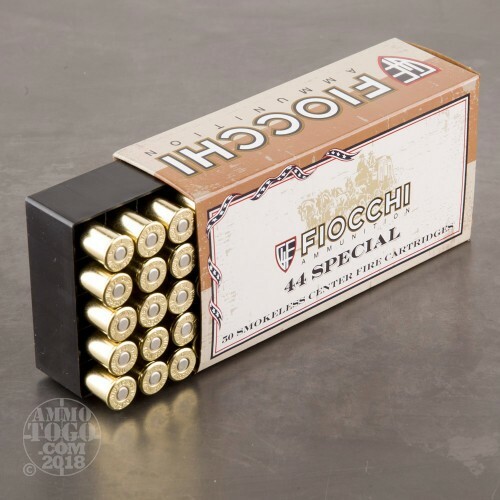 Fiocchi makes some of the best ammunition in the world and their ammo is produced in both Lecco, Italy and Ozark, Missouri. With these new production, 210 grain LFP rounds, you won't be disappointed!